DECEMBER 1, 2017 Supreme Gear Company and Dorris Company are proud to share our finished video tour with you! The video aired on the FOX Business network as a Manufacturing Marvels video on November 30th, 2017. We have been waiting in anticipation for the video premiere date, and are very proud of how it came out. So please take a moment to have a short tour of our manufacturing plant, meet our staff, and see what capabilities we have for you and your gear box needs. 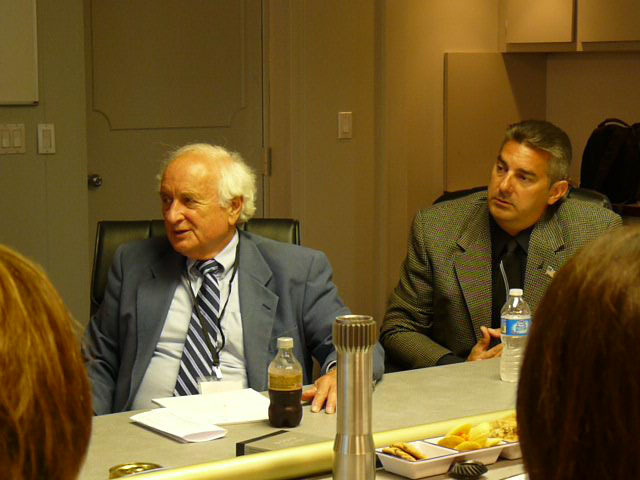 SEPTEMBER 9, 2011 On August 25, 2011, Congressman Sander Levin, State Representative Marilyn Lane and Dr. Albert Lorenzo, Assistant Macomb County Executive, paid a visit to the Dorris Company. The topic of conversation was how to create more jobs in Macomb County. At a roundtable discussion, then later during a plant tour to meet the employees, the Congressman spoke of the resources available to businesses in Michigan, as well as what Washington was considering for the future. JANUARY 1, 1999 A leading manufacturer of shaft mounted gear drives and screw conveyor drives is using a silicone sealant prevent oil leakage in its drive housings. The material effectively seals in a variety of lubricating oils, despite harsh operating environments such as high temperatures, vibration and contamination. The Dorris Company, Inc. (St. Louis, MO) manufactures a premium line of gear drives used in a variety of applications, including: feed and grain handling, sand and gravel transport, laundry equipment, pumps, materials handling, and food processing equipment. As a supplier of more than 15 different gear drive designs, the company needed a sealant that could prevent oil leaks despite the temperature fluctuations inside the gear box, and withstand the service environment outside.. Temperatures inside the gear box can range from -40oF to 180oF, with the lubricating oil reaching as high as 200oF," said Engineering Vice President Dave McCarthy. Depending on the individual model and the customers service environment, a wide range of industrial lubricating oils may be used," he explained. "Some users specify petroleum-based gear oils, while others prefer synthetic hydrocarbon-type lubricants.The integrity of the seal is critical in all designs, regardless of the oil type." McCarthy said the company is currently using Dow Corning® 732 Multi-Purpose Sealant on all of its units. "A significant feature of these gear drives is the exclusive sealant groove that keeps the housings oil tight," said McCarthy. "The caulking material is applied into the groove, located along the parting line of the clamshell-like housings," he explained. "Once cured, the silicone makes a tight seal to contain the lubricating oil and prevent dirt or other contamination from entering." Dorris gear drives are used in outdoor applications throughout North America, where they can be subject to extreme temperatures, high humidity, dirt/dust, or airborne contaminants. The companys products can also be found on food handling equipment and other sensitive indoor applications. In some cases, they must withstand high-pressure washing or other cleaning techniques that could stress the integrity of the housing seal "With the variety of commercial and industrial applications for these drive systems, especially food handling equipment, its important to have a sealant thats recognized by governing agencies," McCarthy observed. When fully cured and washed, Dow Corning 732 Sealant meets the requirements of FDA Regulation No. 21 CFR 177.2600, subject to end-user compliance with any limitations on total extractables. Dow Corning 732 Multi-Purpose Sealant is a one-part, non-slumping RTV silicone paste that cures to a tough, rubbery solid upon exposure to moisture in the air. The product exhibits good resistance to weathering, retaining its elastomeric properties over a temperature range from -76oF to 400oF (intermittent to 425oF) Typical properties include 325 psi tensile strength and 620% elongation, with good lap shear adhesion strength. The product exhibits a Shore A durometer hardness of 25 points, and is recognized by UL for service to 302oF (150oC). Dow Corning 732 Sealant is available in 3 and 1.7 fl oz. tubes, 10.1 fl oz cartridges, 4.5-, and 52 gallon containers. When stored at or below 77oF in the original, unopened container, the material has a shelf life of 30 months from date of shipment.